September 03, 2018, 9:47 a.m.
Data from YouGov’s Airlines Report 2018 underlines how Norwegian Air and Jet 2 have improved their standing among the general public – and why they continue to disrupt the short and long haul market. Looking first at Norwegian Air, while the brand’s Awareness score does lag behind more established rivals among those who are likely to fly in the next 12 months, it has recorded rising scores on this metric. In May 2017 its rating was 50%. That has grown to a score of 55%. It must be noted however, that this level does fall significantly behind household industry names. Norwegian’s perception among short haul and long haul flyers is very similar. Its Impression score among the former group stands at +15, and at +14 among the latter. However, looking specifically at the short haul market, the carrier is performing very well in terms of perception, even compared to its established rivals. Its Impression score is well out in front of the average score it is short haul budget competitors (+15 vs. -1).It is a similar story with its Quality (does it represent good quality) and Reputation (would you be proud or embarrassed to work for the brand) scores. However, Norwegian Air does lag behind the sector average on Value for Money score. 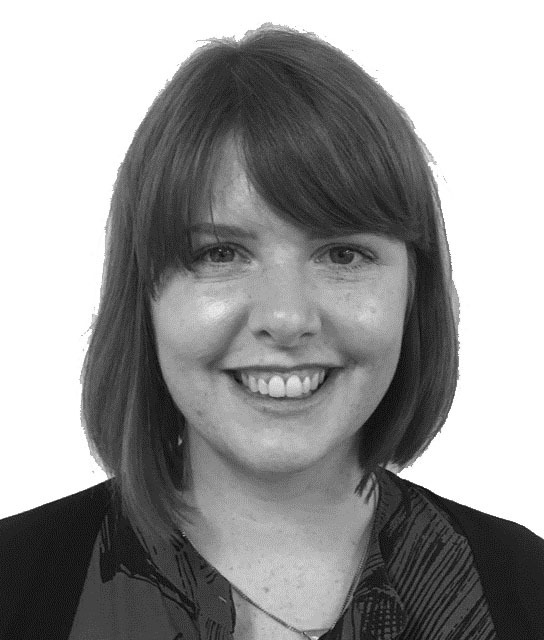 There is room for improvement in the long haul sector. Currently the carrier’s Purchase Consideration score among long haul flyers is only 21%, compared to the sector average of 36%. There is of course a cautionary note here. Despite improving public perception, Norwegian Air admitted in July that its big push into transatlantic travel had made it vulnerable to take-over. There has been talk of an acquisition from IAG (the company which own British Airways), though that looks to unlikely for the time being. Added to this, Ryanair boss Michael O’Leary has suggested that Norwegian will struggle to survive as fuel prices rise. YouGov’s new Airlines White Paper highlights how Jet2’s rise in the airline sector is continuing apace, with increasing numbers of potential travellers aware of the brand. Following expansion and increased routes, budget holiday airline Jet2 has seen its Awareness score among all flyers increase significantly. In 2014, its score stood at +62 – fast-forward to the current day its rating is +76. This still lags behind industry giants Ryanair (96%) and EasyJet (96%). We can attribute some of this to the geographical location of some of Jet2’s operation, as well as where it focuses it’s advertising on a local level. That being said, it improvement in Awareness does underline the progress the company has made with its marketing efforts. 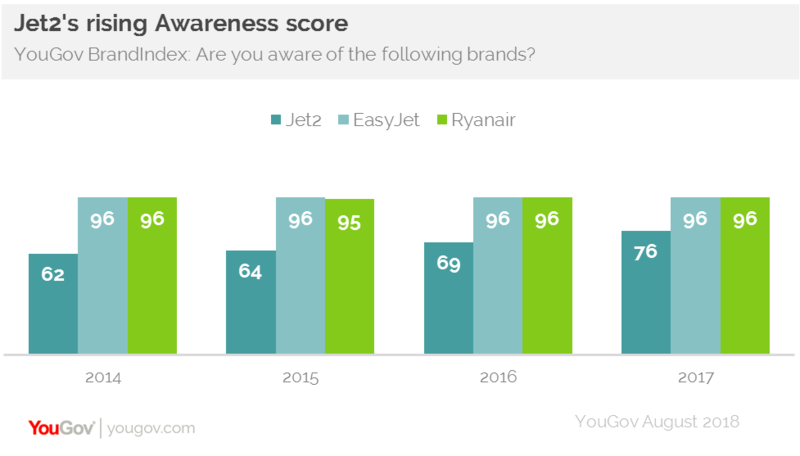 As the gap in Awareness score between Jet2 and its rivals has closed, so too has the disparity in Purchase Consideration score. Among flyers, Jet2’s score has risen from 21% in 2014 to 28% now. That puts it just behind Ryanair, which currently shows a rating of 29%. Both are behind EasyJet (49%). The next step in this competitive market may well be influenced by Jet2’s continued expansion in the south east, and with that, the chance to eat into share held by EasyJet and Ryanair.